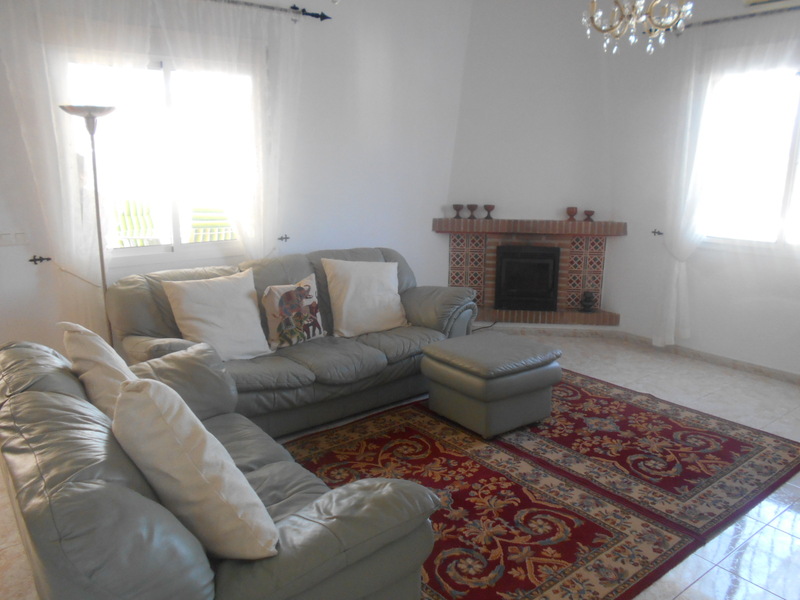 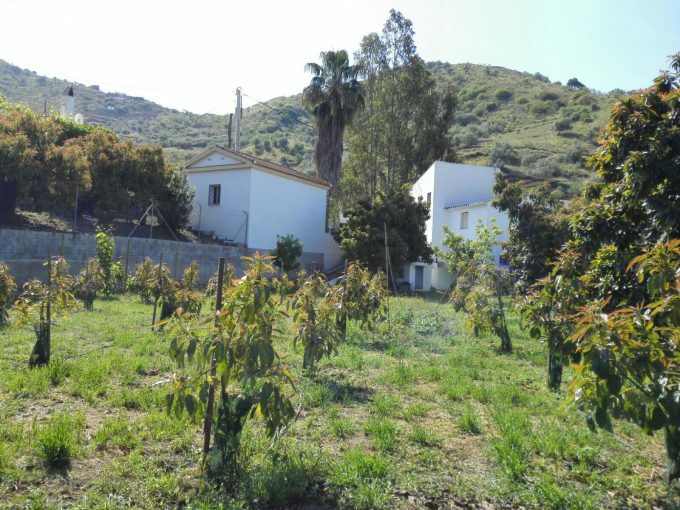 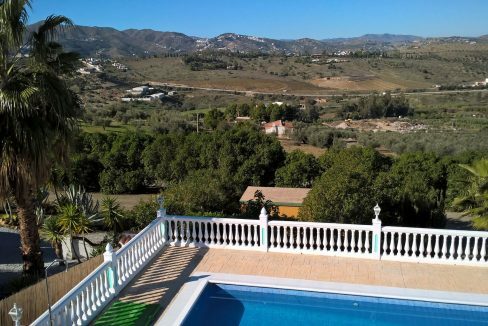 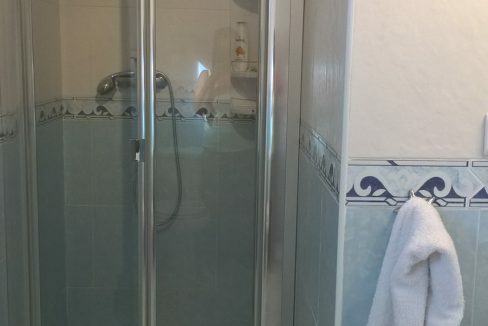 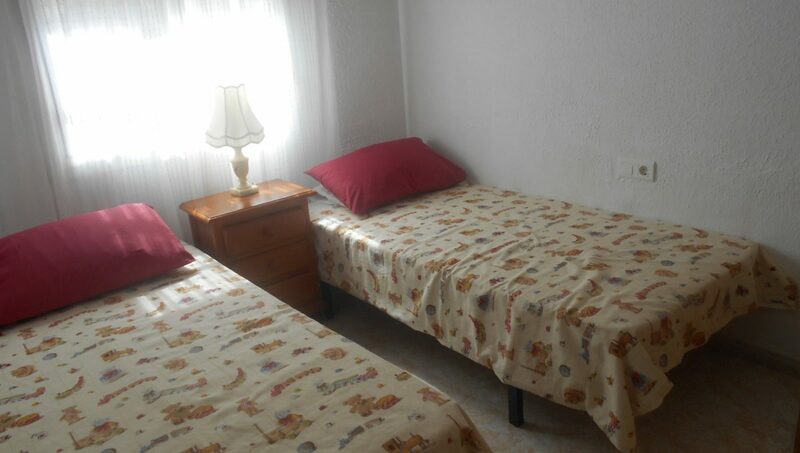 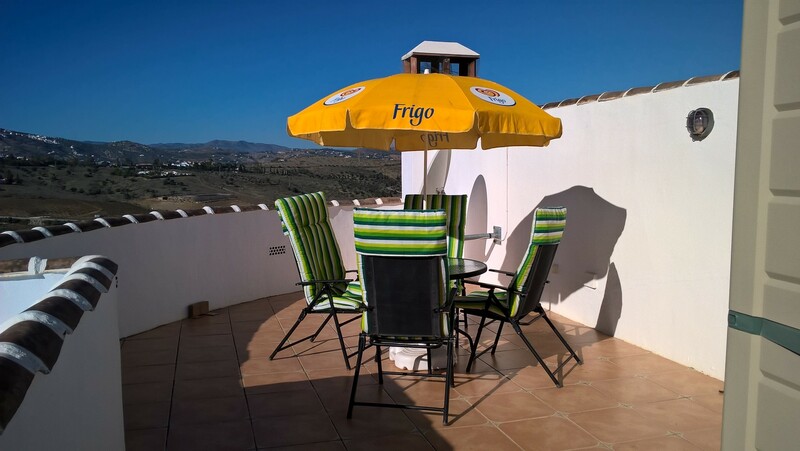 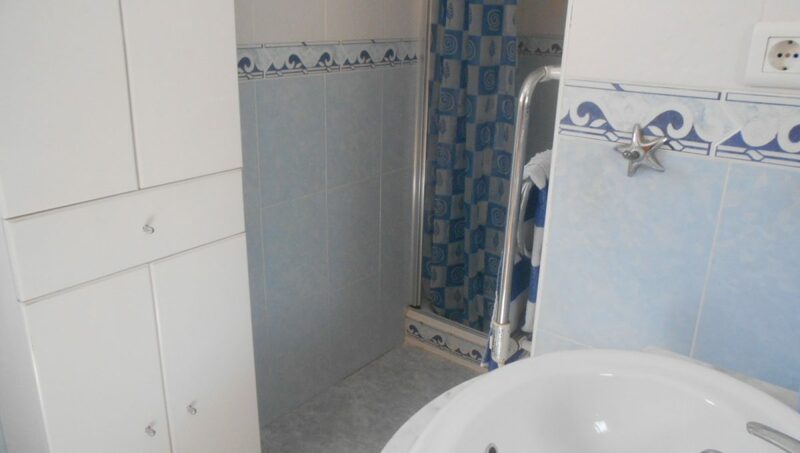 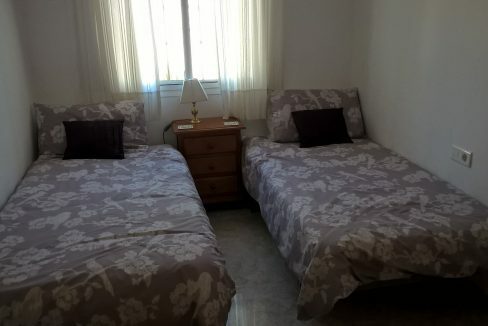 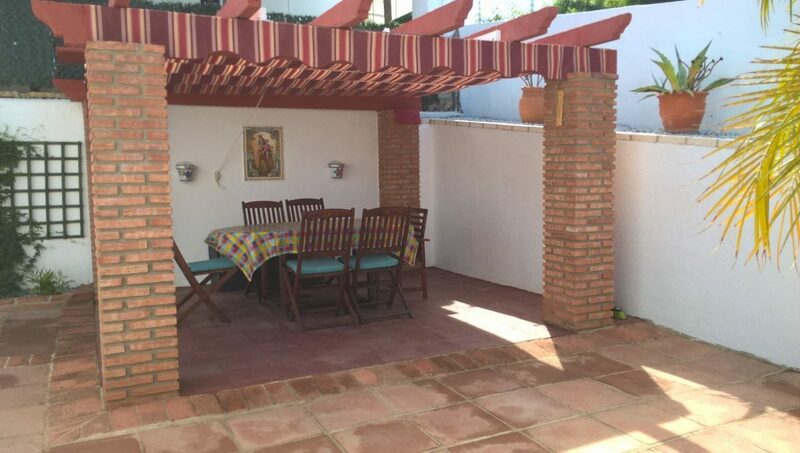 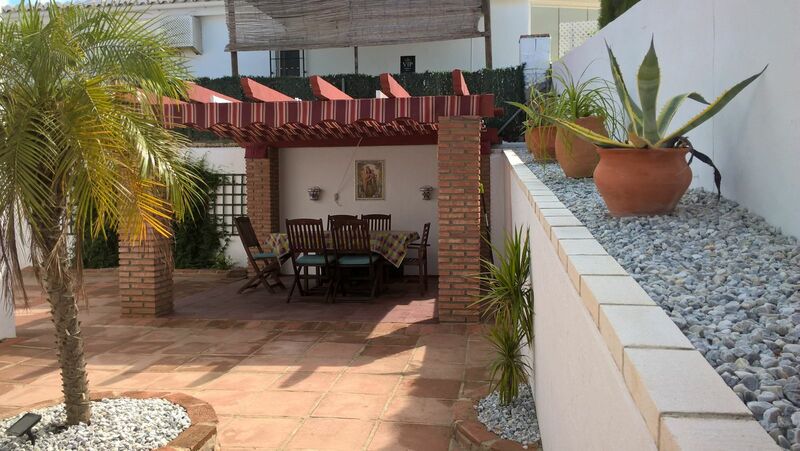 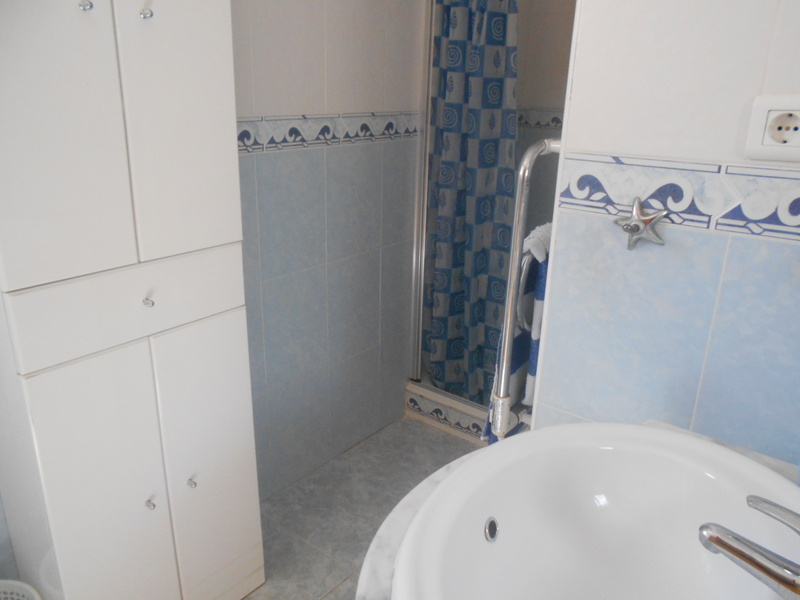 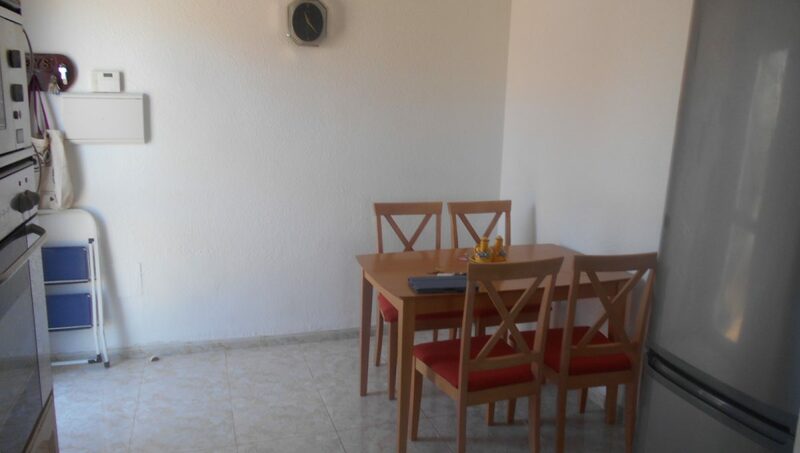 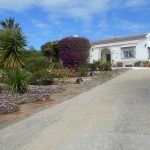 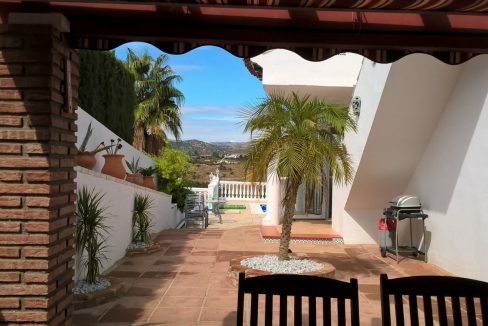 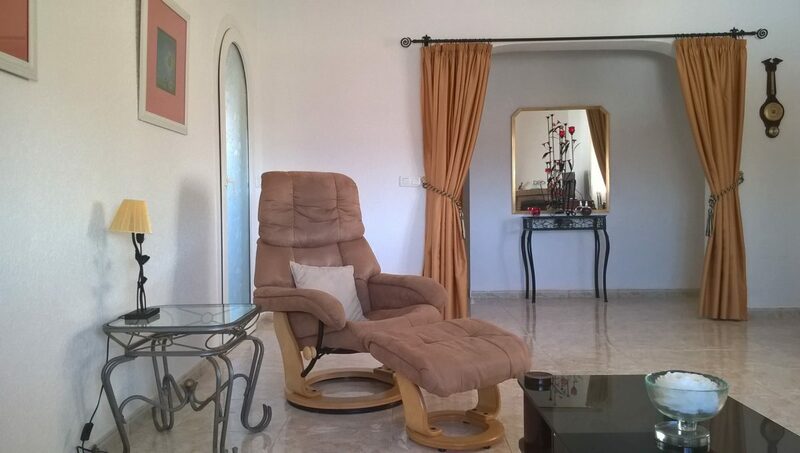 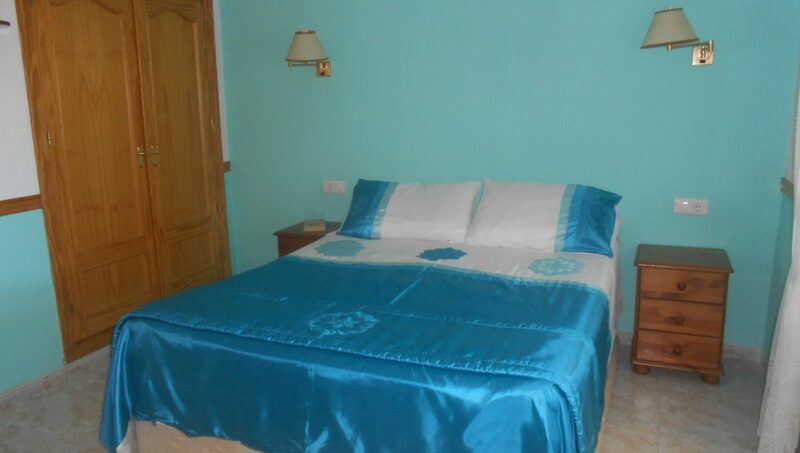 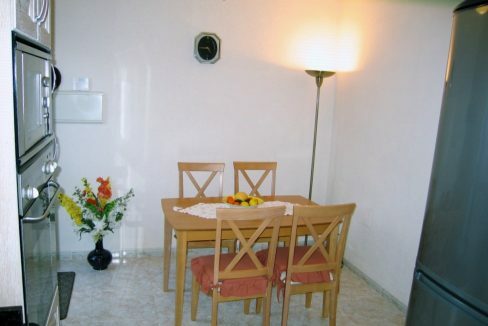 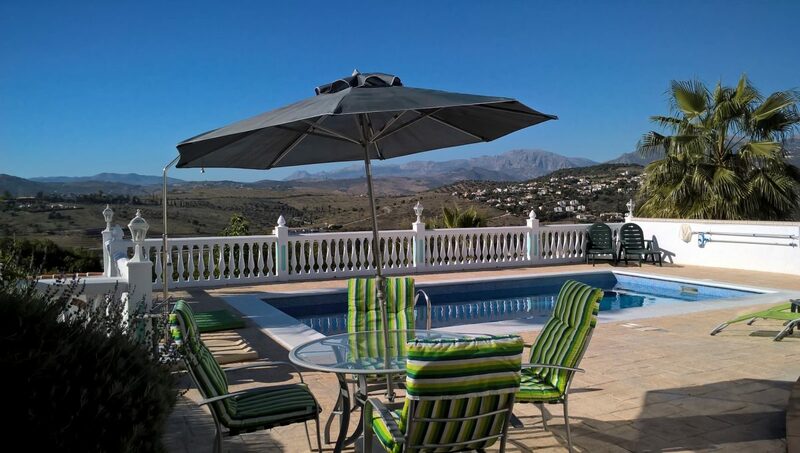 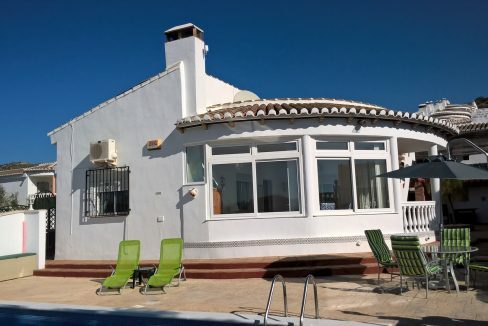 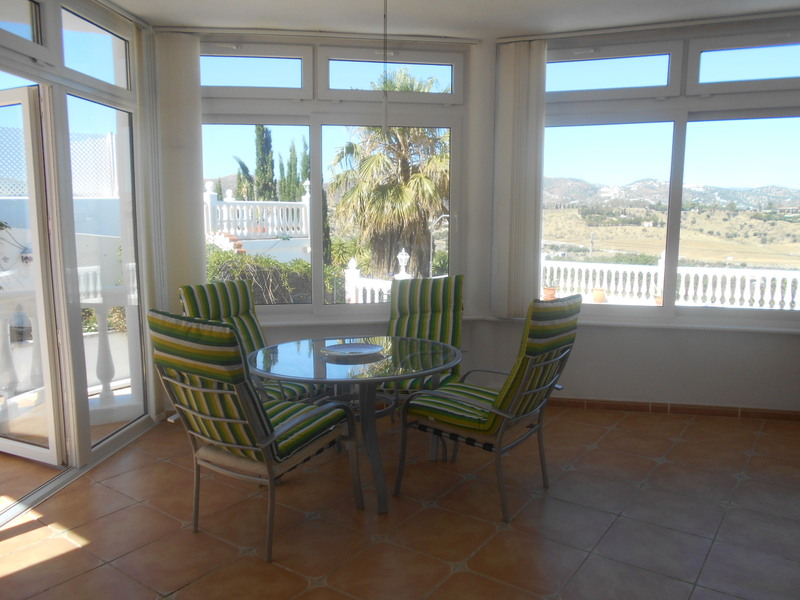 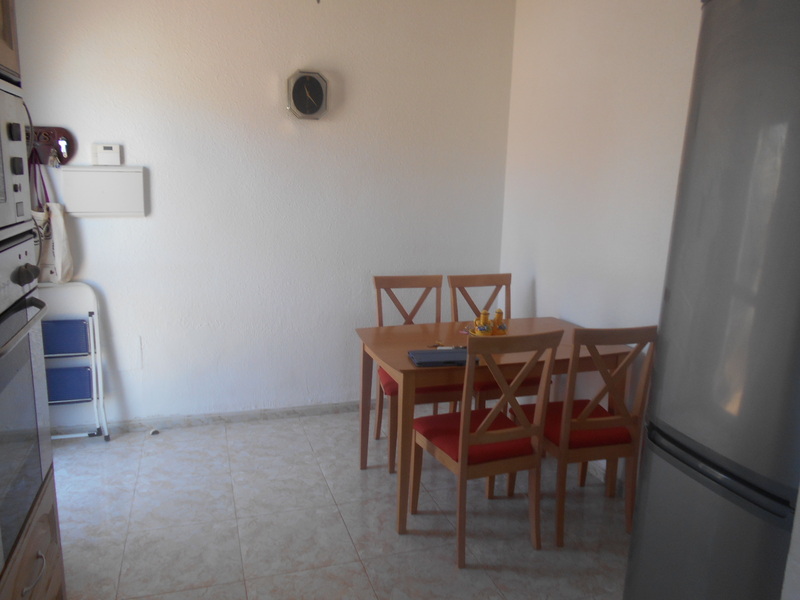 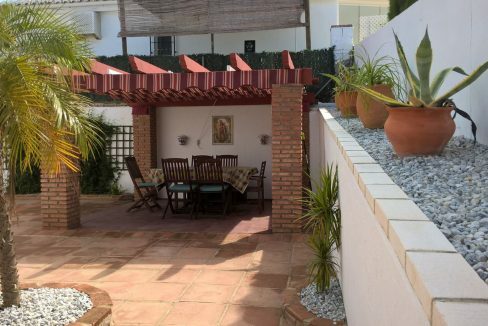 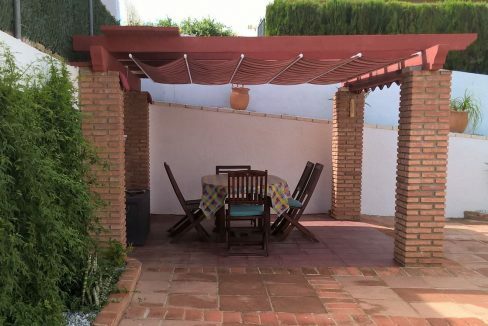 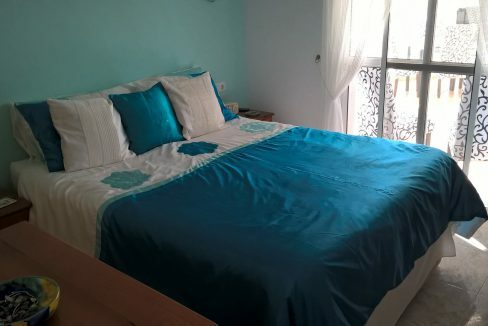 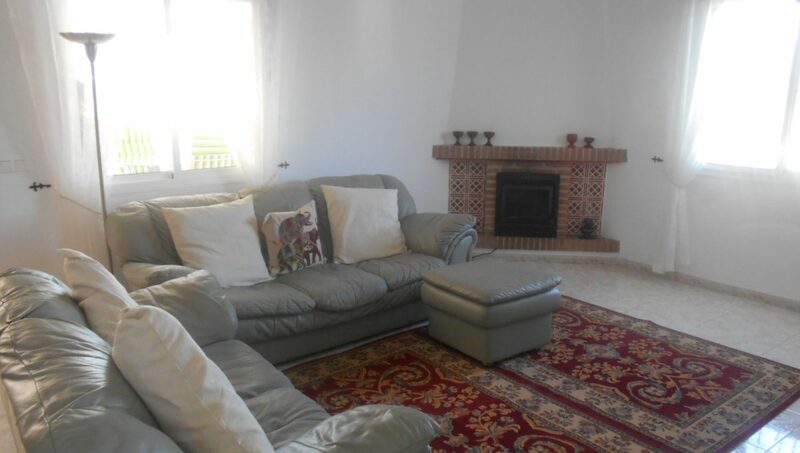 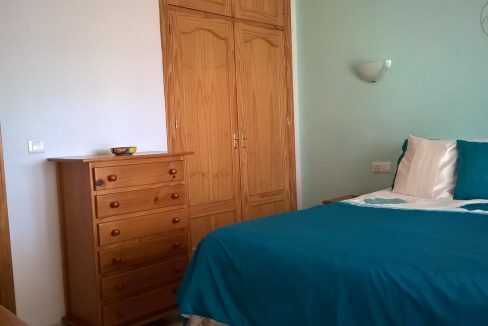 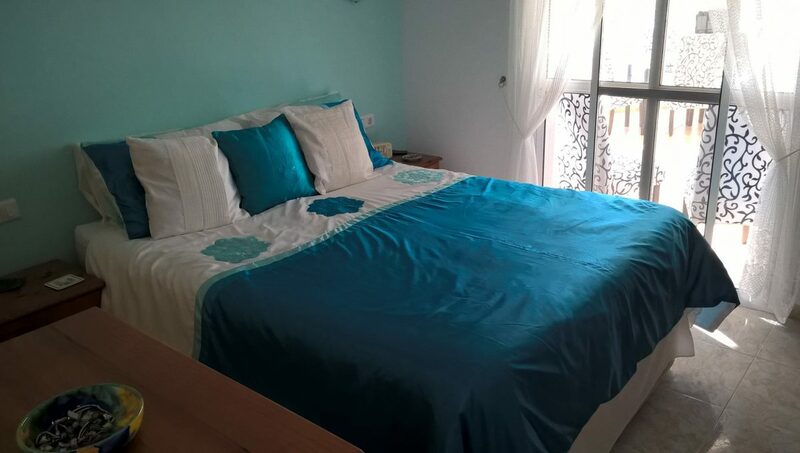 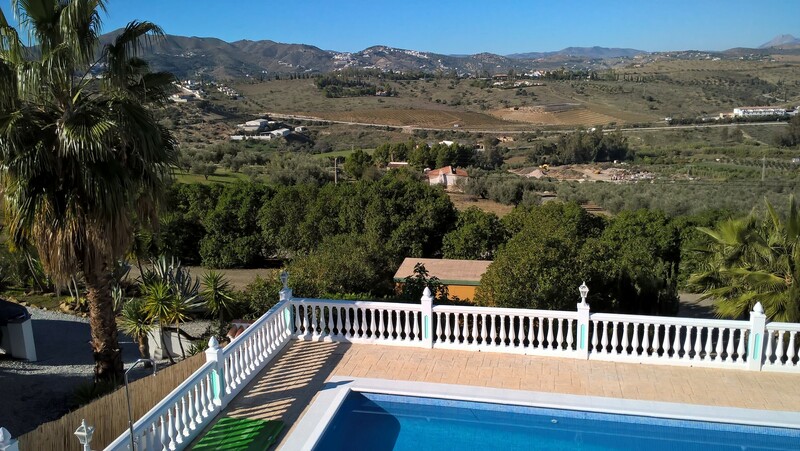 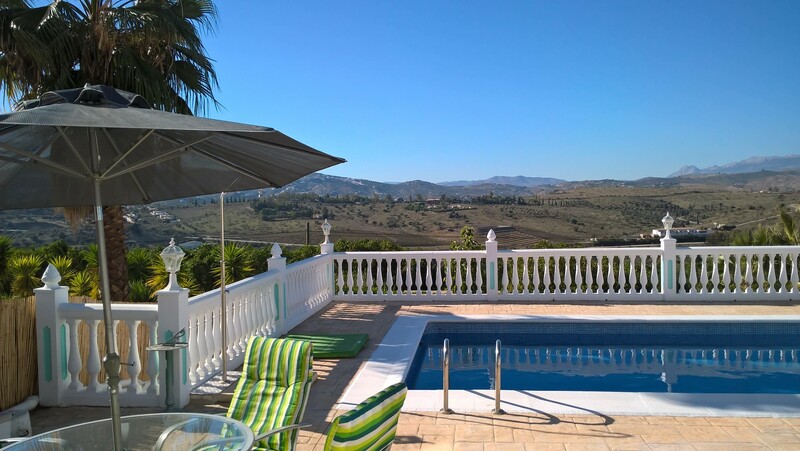 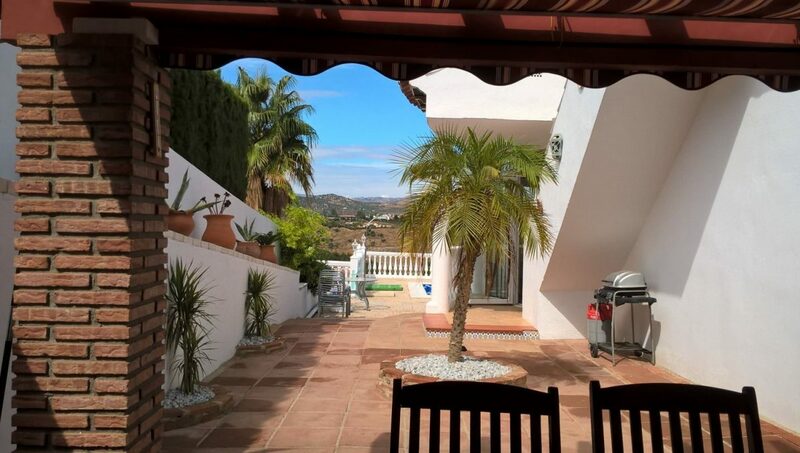 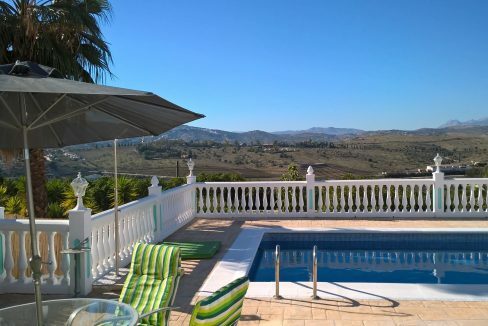 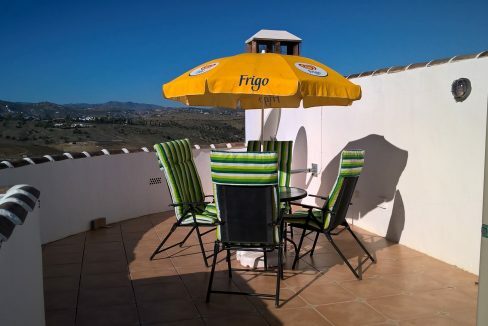 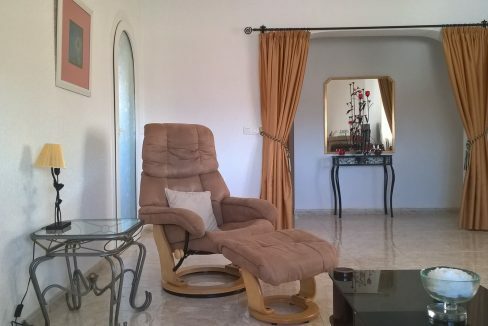 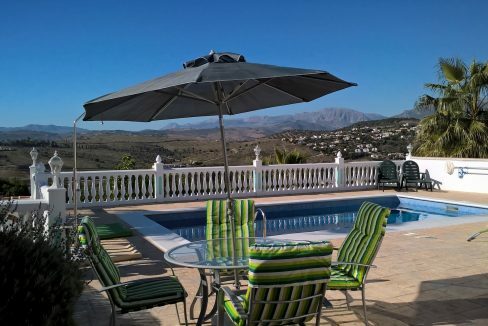 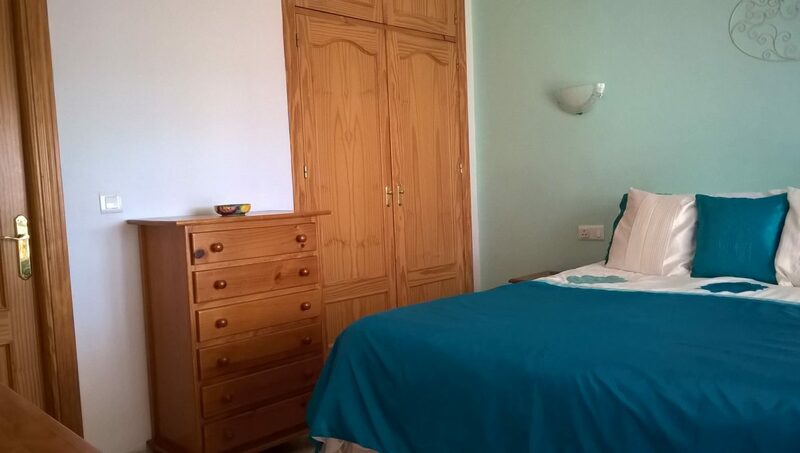 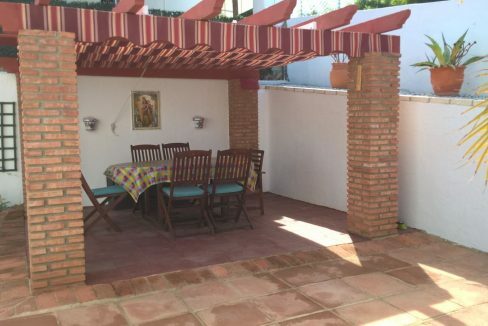 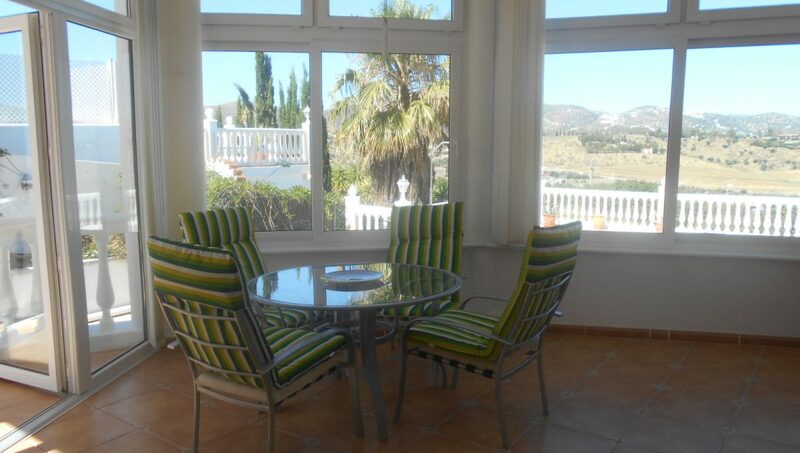 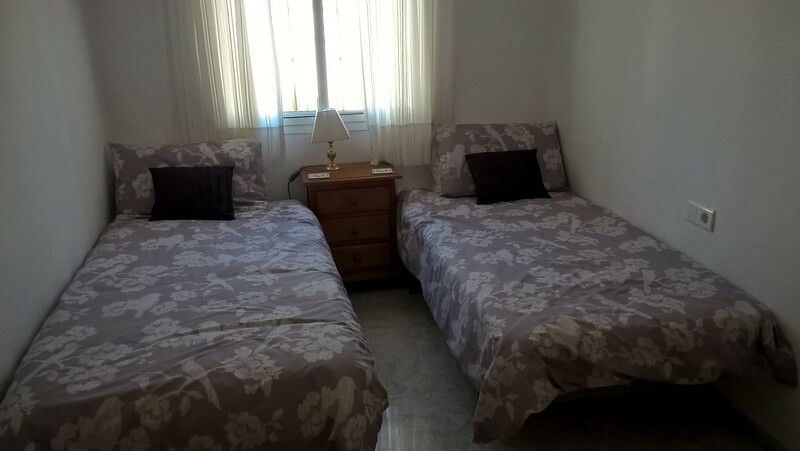 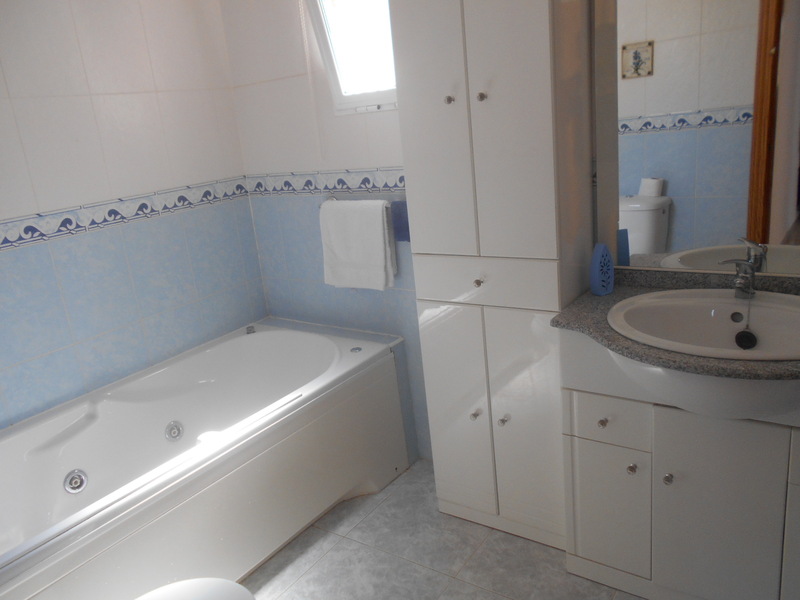 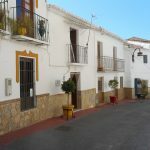 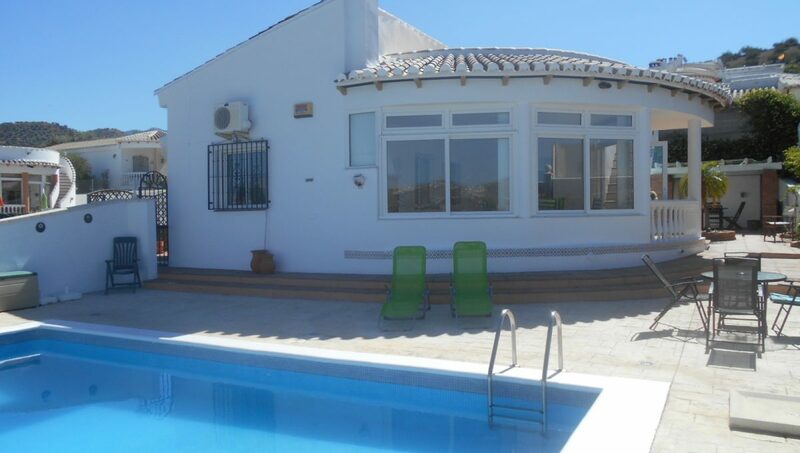 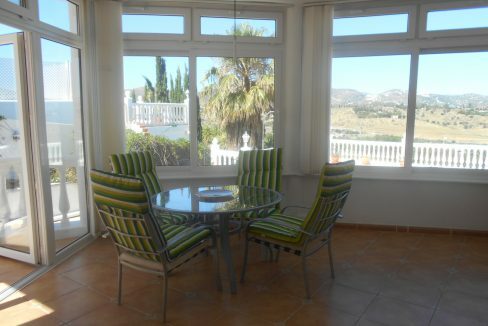 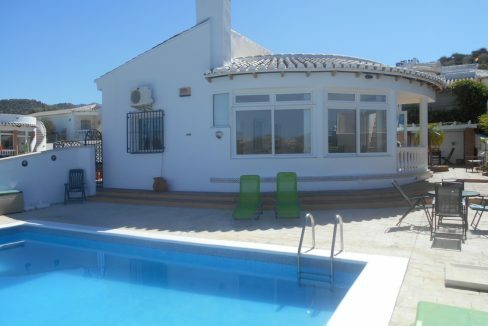 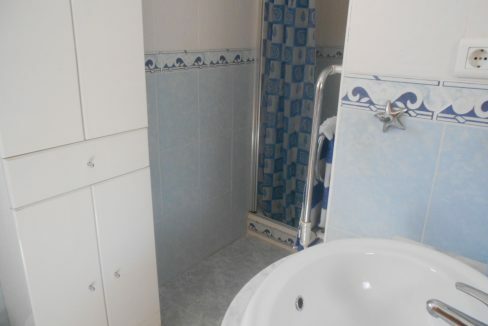 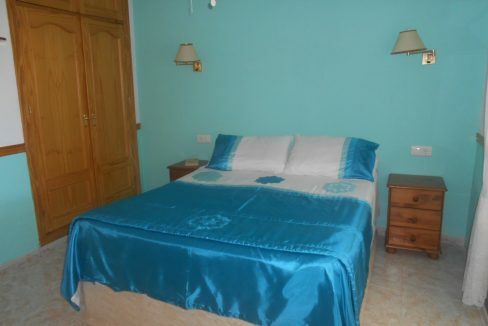 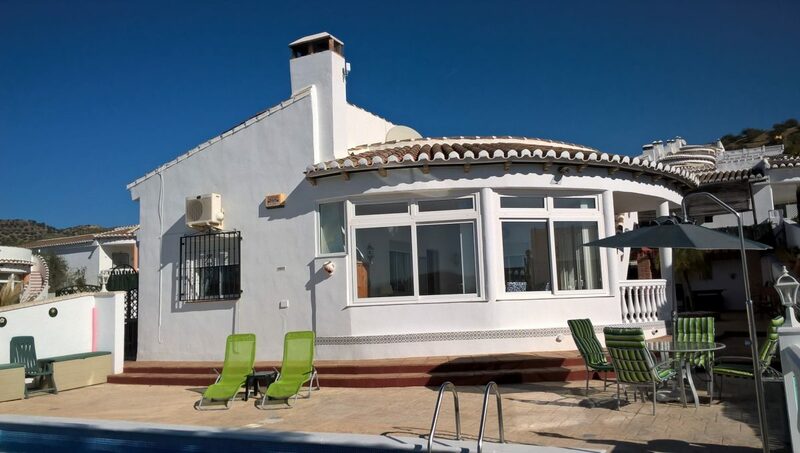 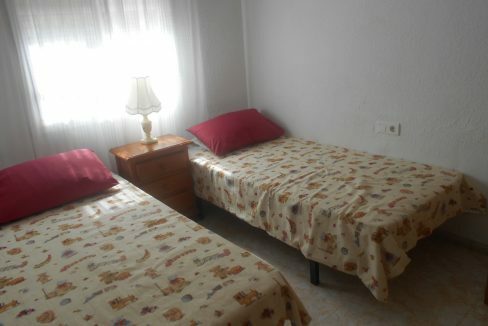 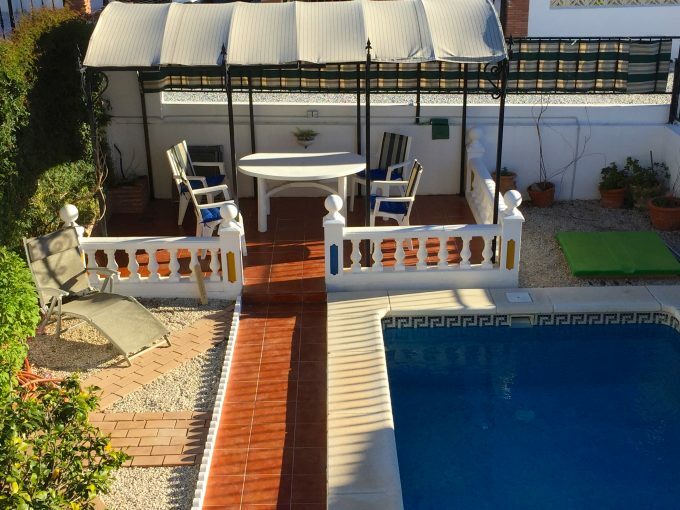 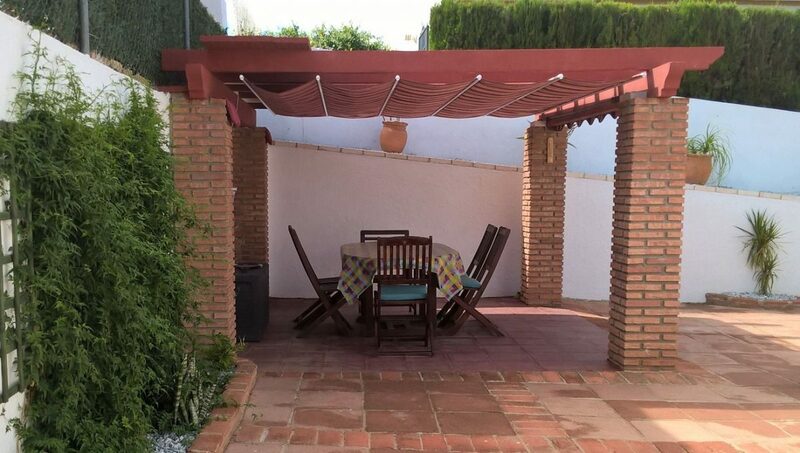 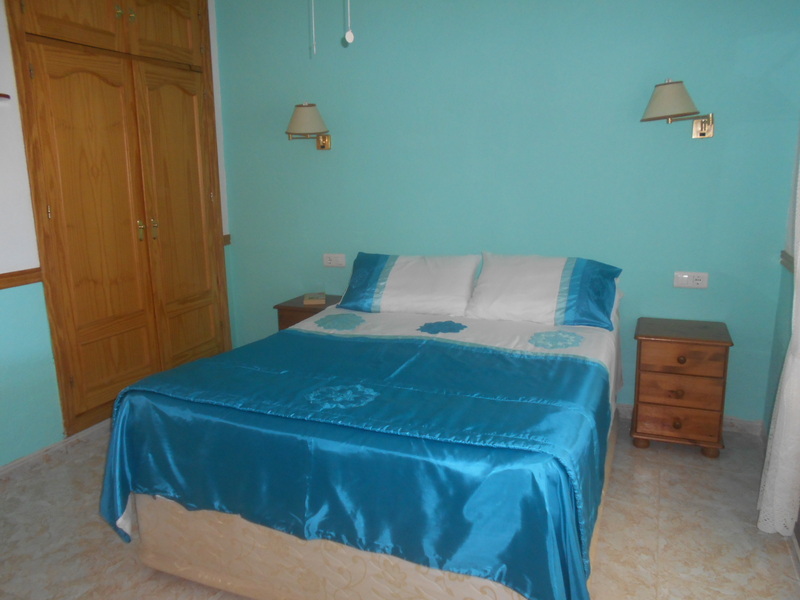 A lovely spacious 2/3 bed, 2 bath villa with unspoilt views of the surrounding countryside and mountains, set to the bottom of a small urbanisation in between the white washed village of La Vinuela and Puente don Manuel, it is ideally situated for bars, restaurants and transport links. 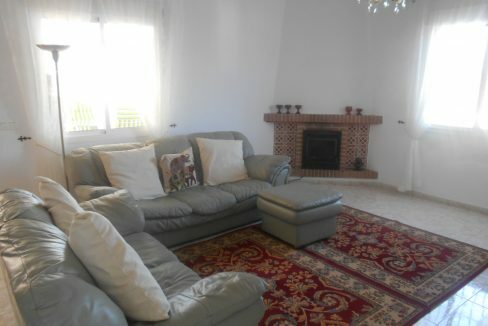 Property has a lower level chino area with a storage room under the pool and off road parking. 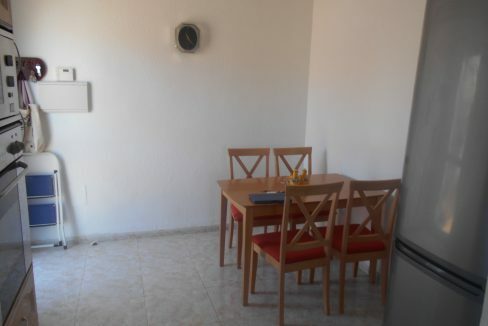 Fitted kitchen/diner with dual aspect widows and panel heater, double glazed arched door to large lounge with apex beamed ceiling, air con and log burner and dual aspect windows, original wooden door into the large sun room/dining room or 3rd bedroom with ceiling fan and views out to the pool and terracing. 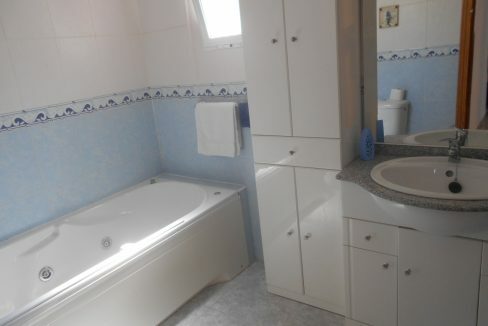 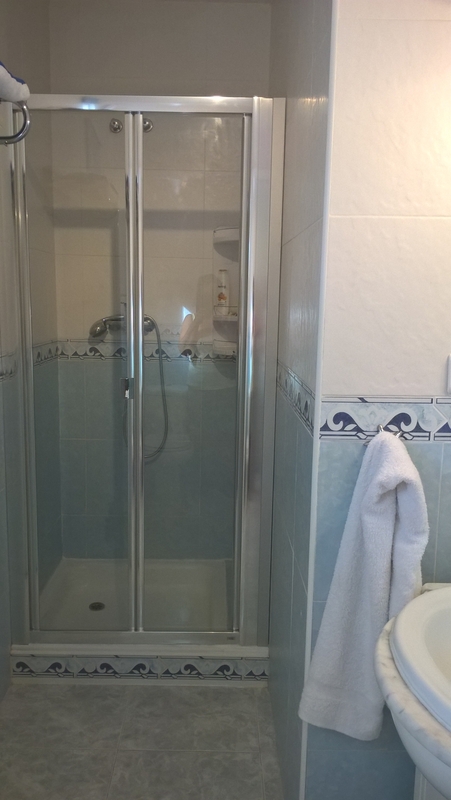 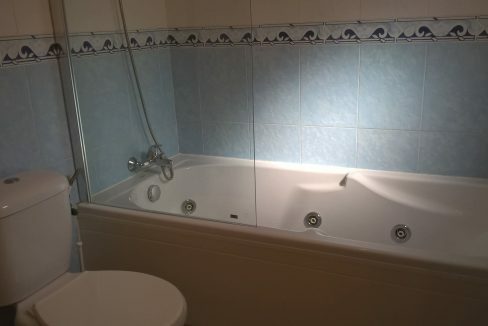 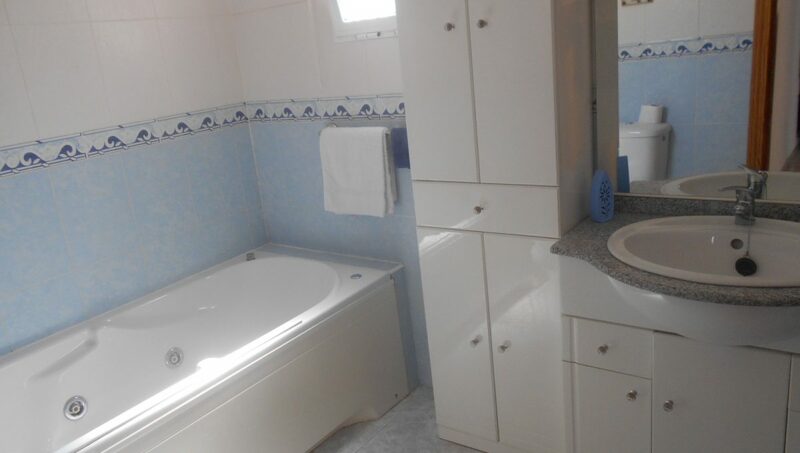 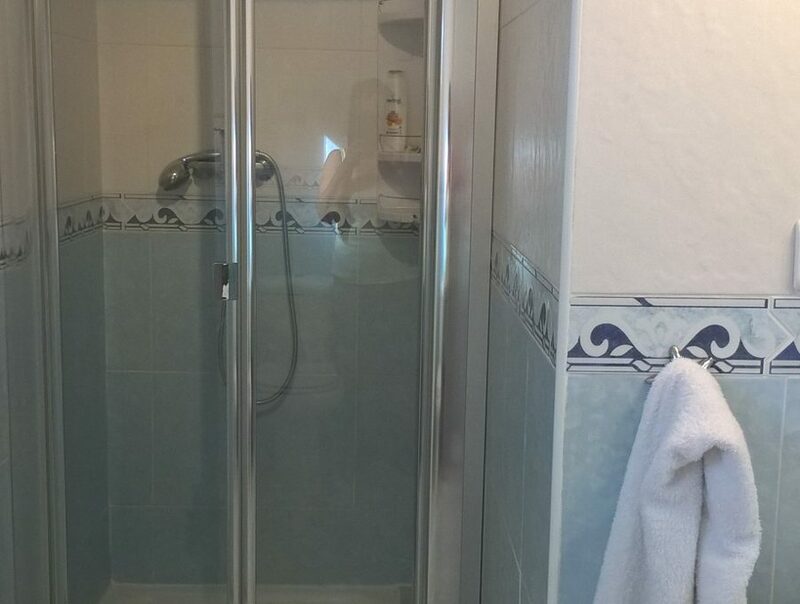 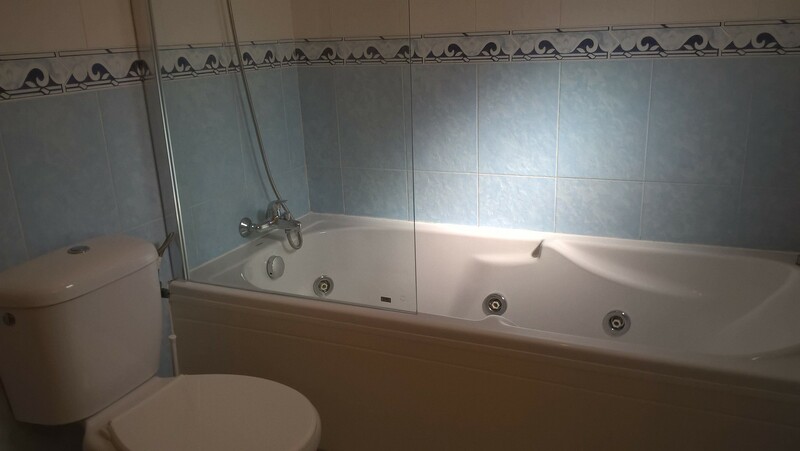 Family bathroom with Jacuzzi bath and shower over, 1 twin bedroom with fan, 1 master double bedroom fan, air con and patio doors out to the sun room, ensuite shower room, both with fitted wardrobes.